Yesterday BCCI announced that IPL will be moved to South Africa this year as the Indian Government failed to guarantee top security for the players in India. After the attack on the Srilankan team in Pakistan security has been a major concern for the foreign players in the subcontinent and with the General elections coinciding with the IPL the Govt said that they cannot offer security to the international players. This was a great setback for IPL and BCCI as the tournament was a huge success in its first year and their negotiations with the Indian Police Department failed repeatedly. 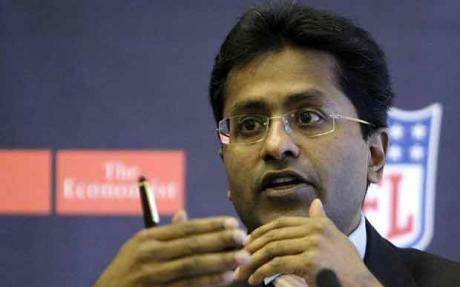 Finally Lalit Modi and BCCI decided to host this year’s edition in either England or South Africa. After lots of deliberation SA was chosen as the venue over England due to logistics and weather being in the formers side. It’s rather unfortunate that the tournament has to be shifted to a different country as the electricity and the enthusiasm of the Indian crowd cannot be matched anywhere in the world. The players and the franchise owners are not that thrilled about this decision but they are left with no choice in the current scenario. I think the decision was very practical by the BCCI and now the competition can go on without any security concerns. Even though this is basically an Indian tournament the involvement of International stars makes this event marketable anywhere in the world. South African cricket board seems to have been really thrilled to have got this opportunity and also their players and media seem to be really enjoying the same. I personally did not want this series to go to England for two reasons. First is the weather and pitch conditions and second English supporters do not care about IPL or Twenty20. I am a part of a British cricket forum and I can see that they don’t give a damn about Twenty20 or IPL. So I guess it was a good decision to take it to SA who successfully staged a World Twenty20 just a year ago. Its really sad for Indian cricket that their premier tournament has to be shifted to another country and watching my team “Chennai SuperKings” play in Durban will not be the same as watching them in MA Chidambaram stadium. But the silver lining is that the tournament at least will happen this year. This will also give players to get a good practice for the World Twenty20 which will follow the IPL. I hope that this year’s competition is as big as the previous year. I am sure that the SACB will do all in their ability to make this event a grand success. But I just hope that IPL is back next year to India where it proudly belongs. I will be back later with the profile of my team Chennai SuperKings next month.